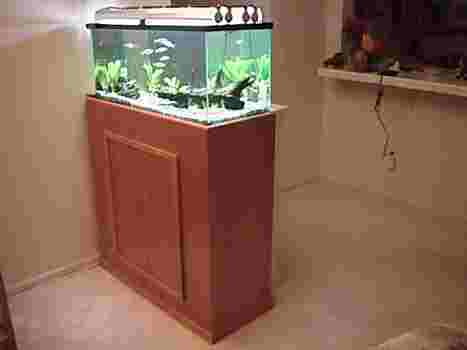 Setting up an aquarium can be costly, but free DIY aquarium stand plans will keep you under budget and leave some cash to buy an extra fish or two. 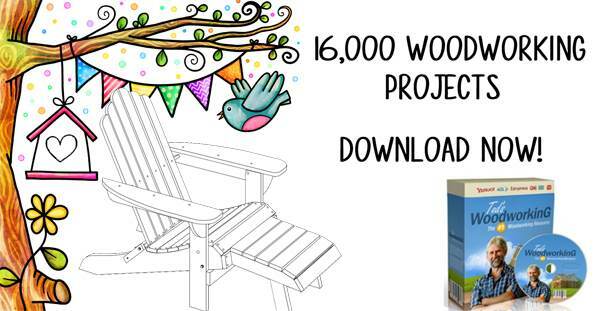 These plans can be built with stock lumber and plywood, using basic tools and simple instructions. Aquariums are heavy and must be well supported. These aquarium stand plans are all designed to accommodate the heavy weights they must carry and come in a number of sizes. They can be customized to fit your specific tank. Choose inexpensive building materials to build your stand, or select a beautiful hardwood to blend with your home's decor. These stands add valuable storage space for aquarium supplies and can be an attractive decorating addition to your room. When building an aquarium stand, add elegant or whimsical handles and knobs to doors for a designer look, or leave plain for a sleek contemporary look. 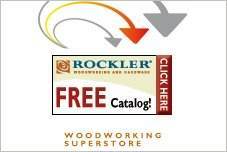 Check your measurements to be sure of a correct fit before building your aquarium stand. This tank stand can easily hold a 55 gallon tank and will house a 10 gallons easily. There is plenty of storage room for all your aquarium necessities and fish food. 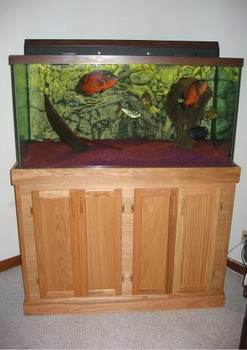 Build an aquarium stand that holds up to a 40 gallon tank and looks good too. This stand holds a 135 gallon reef aquarium and has lots of needed storage underneath. 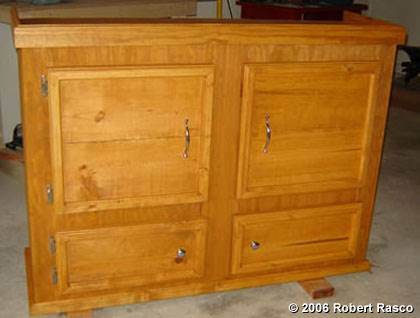 These aquarium stand plans can be adjusted to fit your needs. Here is a plan for a basic aquarium stand that can easily be modified to better fit your aquarium in the 55 to 180 gallon weights.